Lake Solitude is one of many alpine lakes around Brighton in Big Cottonwood Canyon. The trail takes you about halfway around Silver Lake, where it’s flat and stroller-friendly. Then you take a right where the trail forks and head up into the mountains a little bit. 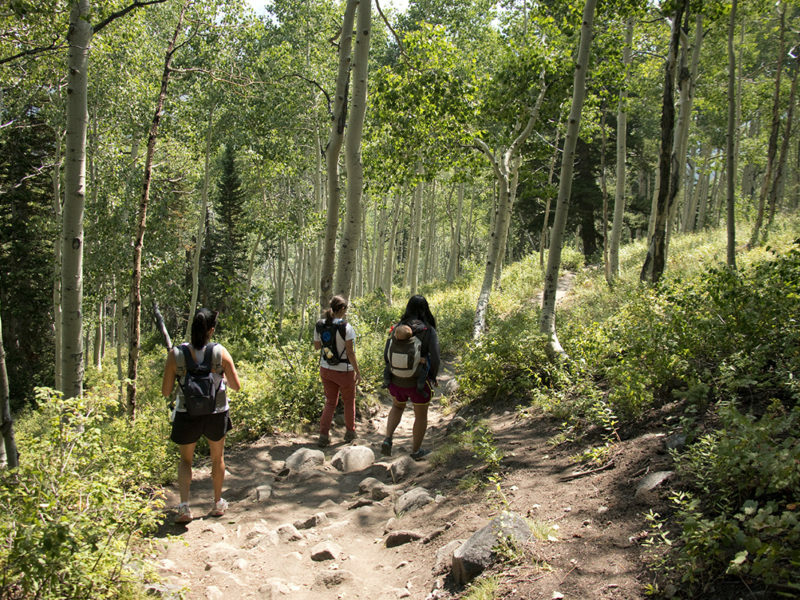 The hike isn’t flat, but it’s not difficult either, and it meanders through a gorgeous aspen forest. The last quarter mile of the hike is where it gets pretty steep and it’s where you’ll really start to feel the elevation being over 8000 feet if you’re used to living at sea level. Thankfully, it’s short and you’re rewarded by the little lake. We’ve seen moose at Lake Solitude a couple of times too. This hike is beautiful in spring, summer and fall. In the summer, it’s a welcome relief from the heat in the Salt Lake Valley; it can sometimes be as much as 15° F cooler up there. Mid-July is when wildflowers put on their show and in late-September the aspen turn bright yellow and the scrub oak turns orange. It’s quite beautiful! There are picnic tables at Silver Lake and restrooms with flush toilets along with a water fountain. This trail is closed to hikers in the winter once the ski resorts are open. Only cross-country skiers are allowed. 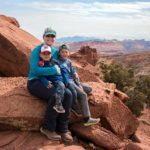 All of Big Cottonwood Canyon is a watershed canyon, so no wading or swimming in the lakes or streams and no dogs are allowed. 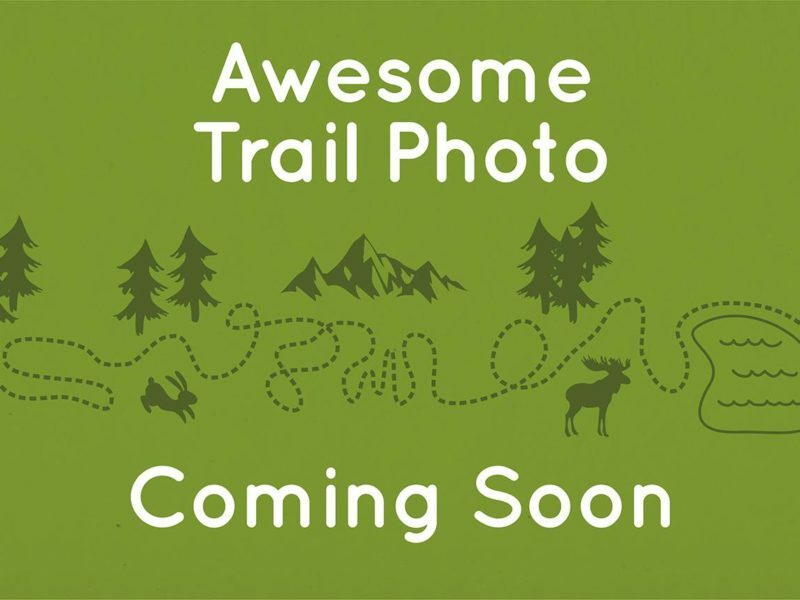 More photos coming soon after the trail reopens in the spring! We’ve seen moose at Lake Solitude and Silver Lake a few times. There are picnic tables at the trailhead too. No swimming or wading, and no dogs are allowed. There are picnic tables at the Visitor Center along with restrooms. The views of the surrounding mountains are lovely. This trail shares a parking lot with a few other trails, it can get full easily. There is plenty parking across the street if the lot is full. From I-15, take the exit onto eastbound I-215/Belt Route. Take exit 6 onto UT-190 toward 3000 E from the second-to-righthand lane. Keep left and follow signs to 6200 S. Turn right onto UT-190/6200 S/Wasatch Blvd. Turn left onto UT-190/Big Cottonwood Canyon Rd. Continue up into the canyon until you reach Brighton and the road forks to the right. The trailhead parking lot is immediately on the right side, the Silver Lake Visitor Center.